I had it all planned out! A cloudy forecasted Saturday in the high country with showers around meant that I was going to get some wonderful photographs of waterfalls on this day. I headed west into the clouds with great anticipation. As it sometimes works out however, when one tries to outsmart Mother Nature, it is he who ends up getting outsmarted. The further west I went, the thinner the clouds became. As I reached my I-40 exit in Marion, it was all bright and sunny. This was not in the forecast. I pushed on…hoping it was some temporary sunny lapse in the hot, humid, unstable air mass that had a 60% chance of storms out on the table. 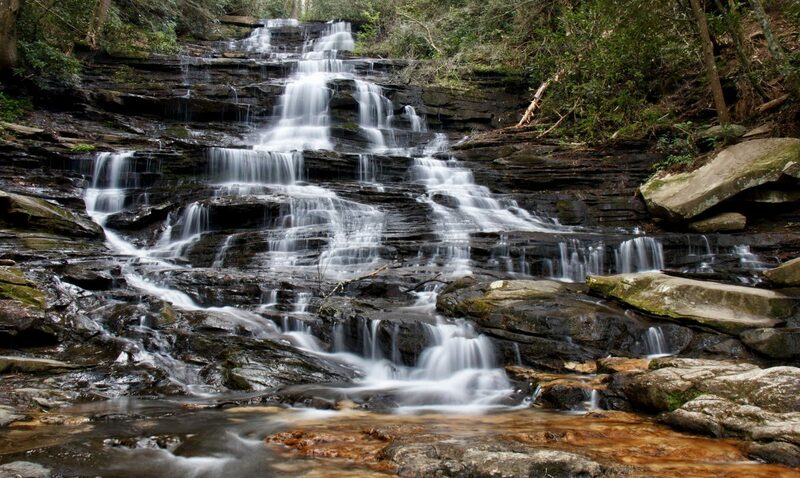 My first destination was to be Toms Creek Falls. When I got there, it was as crowded as I have ever seen it, the sun was bright, and the water was even low. The photo was horrible. I decided to let the sunbathers and swimmers have this one to themselves today and I moved on. 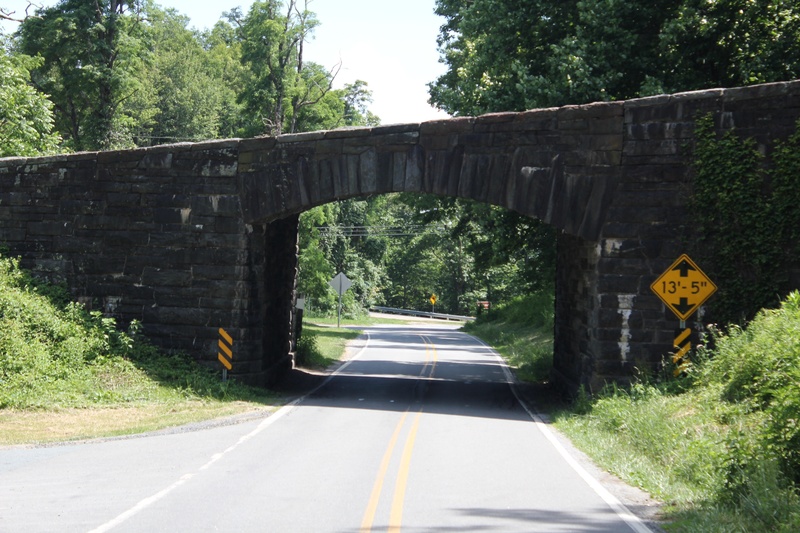 My next drive took me up NC 226A towards the Blue Ridge Parkway. I usually take the regular NC 226 but curiosity got the best of me this time. 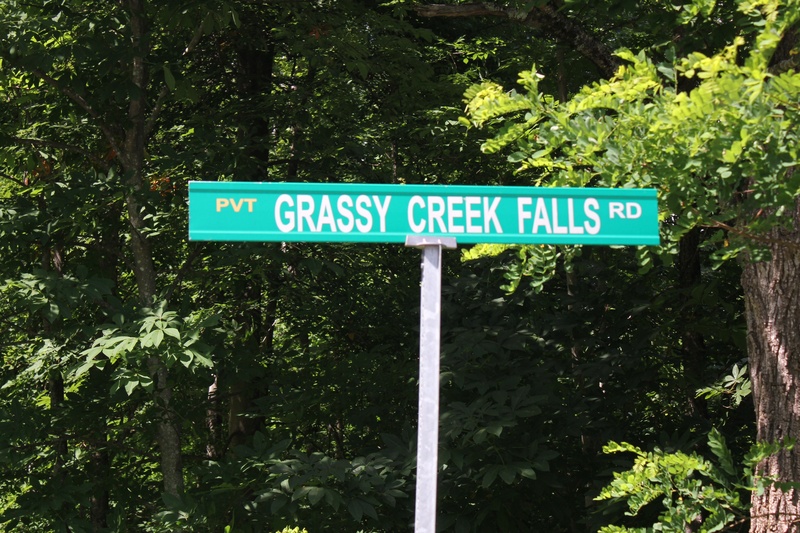 This “alternate” route had all kinds of warning signs for particular vehicles to not use. The weather was nice, so I toured it. Aside from being 3 times as long, and a constant 35 mph, it was a nice drive. It was not nearly the treacherous trek I perceived it to be. I learned of a number of lodges, shops, and restaurants in Little Switzerland that I was not aware of, some with nice views. 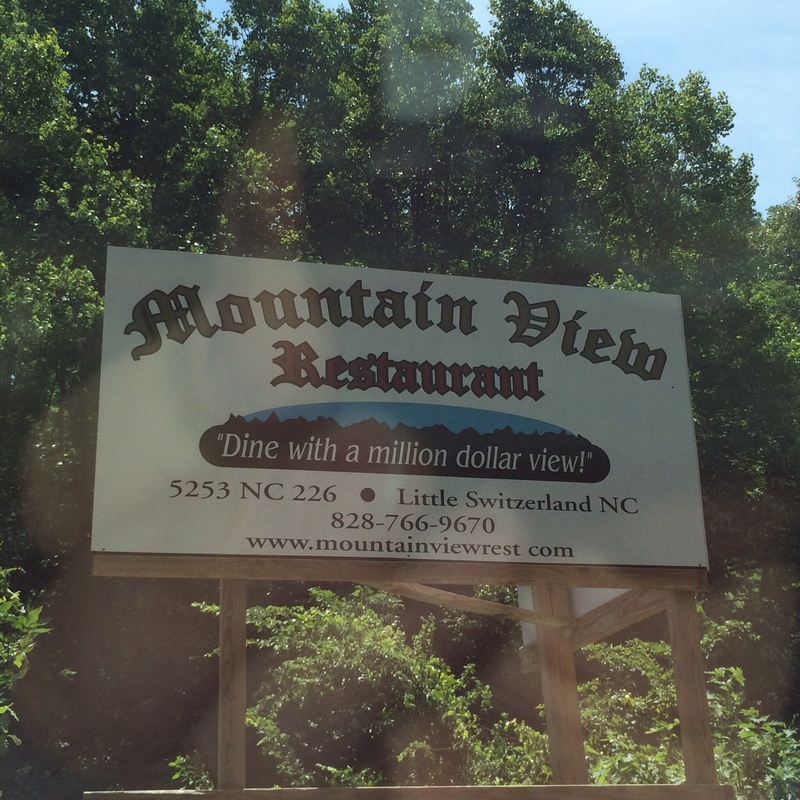 With the sky continuing to become more blue and bright, I decided to stop and have lunch at one of my favorite lunch destinations…..Mountain View Restaurant. I needed to re-evaluate the weather and my plans, along with a tasty pretzel bun burger and sweet potato fries…..mmmm… If you ever visit here, make sure and eat on the deck. 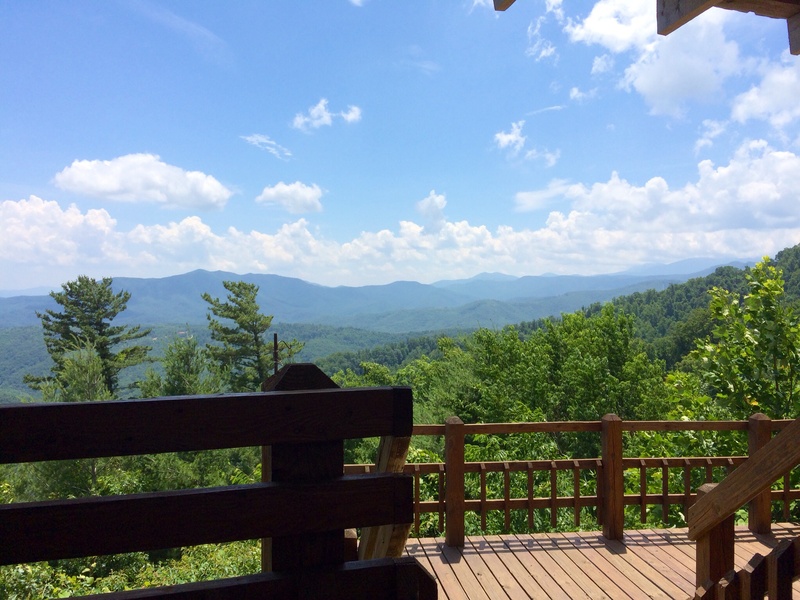 The views and cool mountain breezes are spectacular! The food is pretty tasty as well! The hike was as expected. It was a very nice peaceful downhill walk to the waterfall. There are 3 hand cut and painted signs nailed into the trees along the way with some interesting mountain-inspired quotes. The water was low here as well. While we have been getting hammered here in the piedmont, it seems the mountains have been a little more hit and miss with recent storms. That was fine, because I enjoyed sitting at the base watching the multiple small streams fall and splash off the rocks they came into contact with for a good half hour. 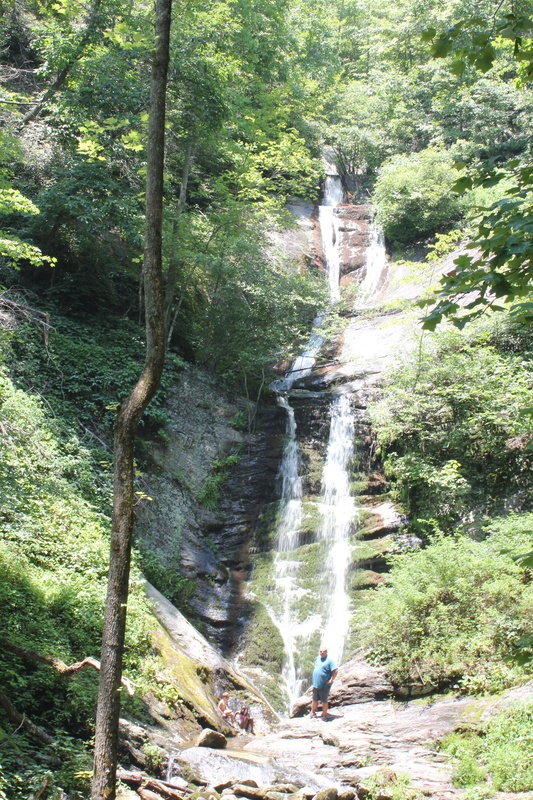 The hike back will get most people sweating, but it is reasonably short! Here is a short video of the waterfall! This hike was nearly 2 miles round trip. 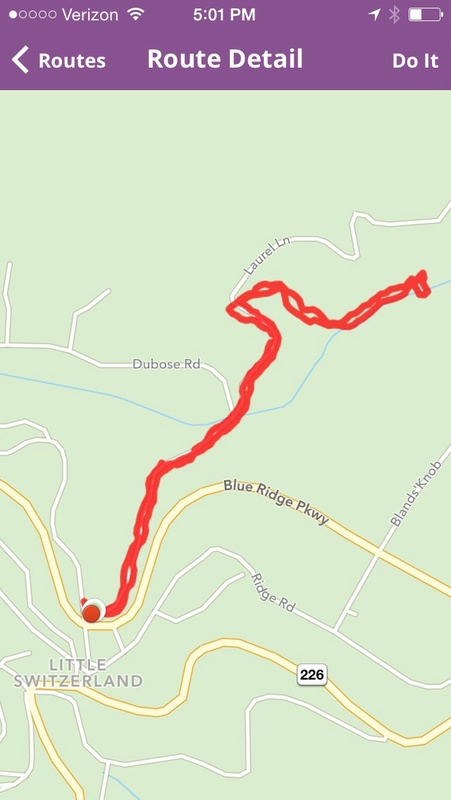 Here is a map of the walk. 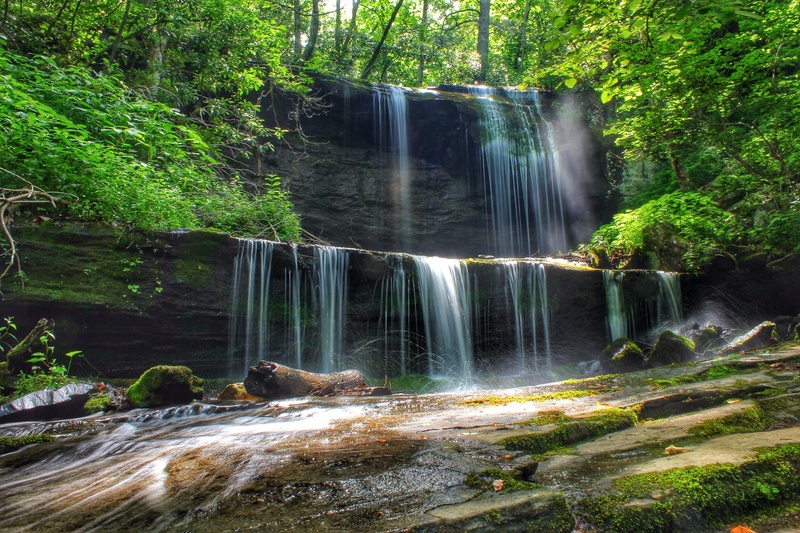 Previous Previous post: Soco Falls – Still Beautiful, Still Dangerous! !